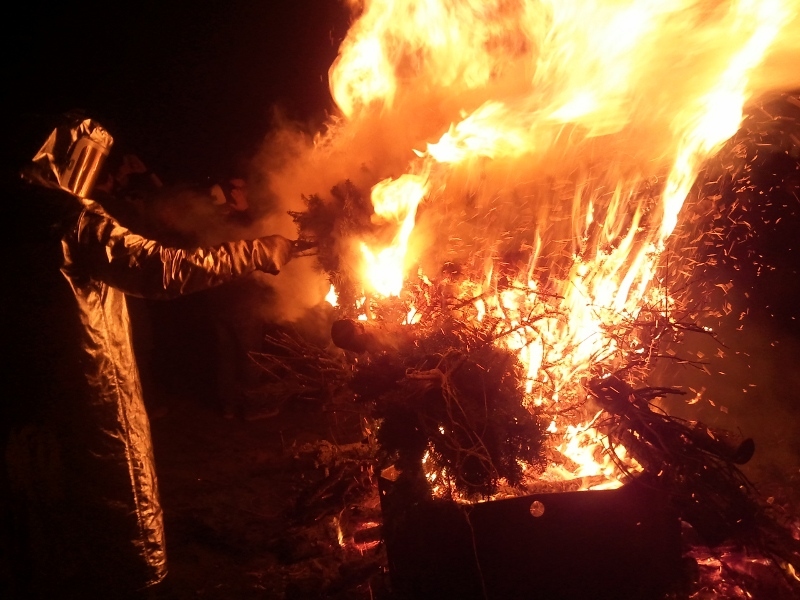 Last week was the annual Point 83 christmas tree burn. Unlike the previous week the weather was great. Cold, but not raining. I love to see all the people hauling what has to be one of the most inconvenient items on a bicycle. One person with a christmas tree on their bike is a sight to see. A whole group of them, that is just down right jaw-dropping. I wish I was that badass, but no. I counted 74 people leaving Westlake and I know more joined up along the way. We stopped at Peddler Brewing to pick up more trees stashed there. By the time time the group arrived at Golden Gardens I think we had over 100 people. The bonfire was amazing as usual. Also it tended to dwarf the tiny firepit. Even in my usual attire I wasn't cool. What a fun night.